The Salghurids of Fars (Persian: اتابکان فارس 'Atābakān-e Fārs' or سلغُریان 'Salghoriān'), were a dynasty of Turkmen origin that ruled Fars, first as vassals of the Seljuqs then for the Khwarazm Shahs in the 13th century. The Salghurids were established by Sunqur in 1148, who had profited from the rebellions during the reign of Seljuq sultan Mas'ud b. Muhammad. Later the Salghurids were able to solidify their position in southern Persia to the point of campaigning against Kurds and involving themselves in the succession of the Kirman Seljuqs, holding Seljuq sultan Malik-Shah III's son Mahmud as a possible claimant to the Seljuq throne. They captured Isfahan in 1203-4, and later occupied Bahrain taken from the Uyunid dynasty in 1235. Under Sa'd I b. Zangi, the Salghurids experienced a significant prosperity, which was marred by his acknowledging the Khwarazm Shahs as his overlord. Saadi Shirazi, the Persian poet, dedicated his Bostan and Gulistan to Sa'd I and Sa'd II. Following Sa'd I's death, his brother Zangi b. Mawdud took power in 1161. Dekele/Tekele followed his father, Zangi, only after eliminating Sonqur's son Toghril. During the 13th century, the Salghurids patronized a cultural and intellectual atmosphere which included, Kadi al-Baydawi, Qutb al-Din al-Shirazi, Saadi Shirazi and the historian Wassaf. During the closing years of Aku Bakr and Sa'd II, Fars fell under the dominion of Mongol empire and later the Ilkhanate of Hulegu. 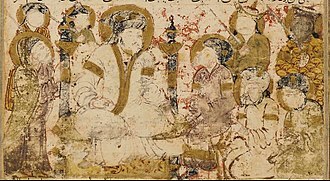 Under the Mongols, Abu Bakr was given the title of Qutlugh Khan. Later Salghurids were powerless figureheads, until the daughter of Sa'd II, Abish Khatun was given the title of Atabegate of Fars. She was the sole ruler of Fars for one year whereupon she married, Mengu Temur, eleventh son of Hulegu. Following their deaths, Fars was ruled directly by the Ilkhanate. ^ Salghurids, C.E. Bosworth, The Encyclopaedia of Islam, Vol. VIII, ed. C.E.Bosworth, E. van Donzel, W.P. Heinrichs and G. Lecomte, (E.J.Brill, 1995), 978;"SALGHURIDS, a line of Atabegs which ruled in Pars during the second half of the 12th century and for much of the 13th one (1148-1282). They were of Turkmen origin.."
^ C.E. Bosworth, The New Islamic Dynasties, (Columbia University Press, 1996), 207. ^ The Political and Dynastic History of the Iranian World, C.E. Bosworth, The Cambridge History of Iran, Vol. 5, ed. John Andrew Boyle, (Cambridge University Press, 1968), 169. ^ Salghurids, C.E. Bosworth, The Encyclopaedia of Islam, Vol. 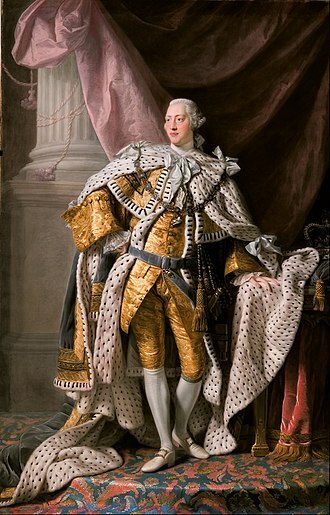 VIII, 978. ^ Curtis E. Larsen, Life and Land Use on the Bahrain Islands: The Geoarchaeology of an Ancient Society, (University of Chicago Press, 1984), 66. ^ C.E. Bosworth, The New Islamic Dynasties, 207. ^ Salghurids, C.E. Bosworth, The Encyclopaedia of Islam, Vol. VIII, 979. The Ghurids or Ghorids were a dynasty of Eastern Iranian descent, from the Ghor region of present-day central Afghanistan. 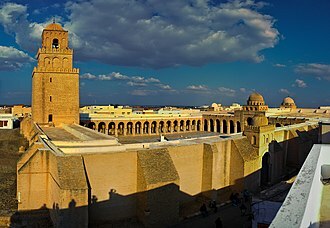 The dynasty converted to Sunni Islam from Buddhism, after the conquest of Ghor by the Ghaznavid emperor Mahmud of Ghazni in 1011, abu Ali ibn Muhammad was the first Muslim king of the Ghurid dynasty to construct mosques and Islamic schools in Ghor. The dynasty overthrew the Ghaznavid Empire in 1186, when Sultan Muizz ad-Din Muhammad of Ghor conquered the last Ghaznavid capital of Lahore, at their zenith, the Ghurid empire encompassed Khorasan in the west and reached northern India as far as Bengal in the east. Their first capital was Firozkoh in Mandesh, which was replaced by Herat, while Ghazni and Lahore were used as additional capitals. The Ghurids were patrons of Persian culture and heritage, the Ghurids were succeeded in Khorasan and Persia by the Khwarezmian dynasty, and in northern India by the Mamluk dynasty of the Delhi Sultanate. Instead, the consensus in modern scholarship holds that the dynasty was most likely of Tajik origin, bosworth further points out that the actual name of the Ghurid family, Āl-e Šansab, is the Arabic pronunciation of the originally Middle Persian name Wišnasp, hinting at a Persian origin. The Ghuristan region remained primarily populated by Hindus and Buddhists till the 12th century and it was Islamised and gave rise to the Ghurids. The rise to power of the Ghurids at Ghur, an isolated area located in the mountain vastness between the Ghaznavid empire and the Seljukids, was an unusual and unexpected development. 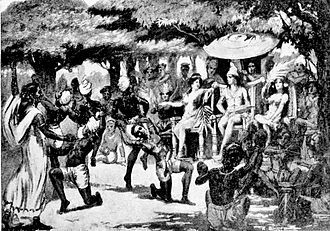 The area was so remote that till the 11th century, it had remained a Hindu enclave surrounded by Muslim principalities. 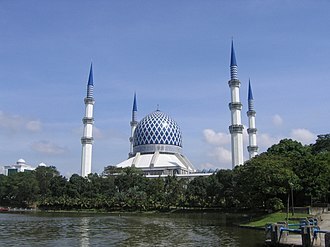 It was converted to Islam in the part of the 12th century after Mahmud raided it. Even it is believed that paganism, i. e. a variety of Mahayana Buddhism persisted in the till the end of the century. The language of the Ghurids is subject to some controversy, what is known with certainty is that it was considerably different from the Persian used as literary language at the Ghaznavid court. Nevertheless, like the Samanids and Ghaznavids, the Ghurids were great patrons of Persian literature and culture, there is nothing to confirm the recent surmise that the Ghurids were Pashto-speaking, and there is no evidence that the inhabitants of Ghor were originally Pashto-speaking. The Proto-Elamite period is the time from ca.3400 BC to 2500 BC. In archaeological terms this corresponds to the late Banesh period, the Proto-Elamite script is an Early Bronze Age writing system briefly in use before the introduction of Elamite cuneiform. 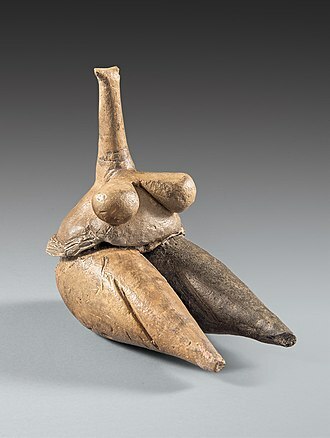 During the period 8000–3700 BC, the Fertile Crescent witnessed the spread of small settlements supported by agricultural surplus, geometric tokens emerged to be used to manage stewardship of this surplus. The earliest tokens now known are those two sites in the Zagros region of Iran, Tepe Asiab and Ganj-i-Dareh Tepe. 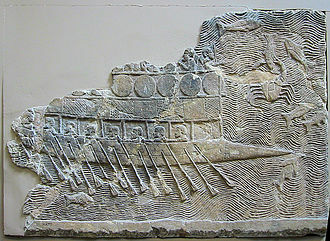 The Mesopotamian civilization emerged during the period 3700–2900 BC amid the development of innovations such as the plough, sailing boats. Clay tablets with pictographic characters appeared in period to record commercial transactions performed by the temples. The most important Proto-Elamite sites are Susa and Anshan, another important site is Tepe Sialk, where the only remaining Proto-Elamite ziggurat is still seen. Texts in the undeciphered Proto-Elamite script found in Susa are dated to this period, but because their script is yet to be deciphered, this theory remains uncertain. The first cylinder seals come from the Proto-Elamite period, as well and it is uncertain whether the Proto-Elamite script was the direct predecessor of Linear Elamite. Both scripts remain largely undeciphered, and it is speculation to postulate a relationship between the two. A few Proto-Elamite signs seem either to be loans from the slightly older proto-cuneiform tablets of Mesopotamia, or perhaps more likely, to share a common origin. Proto-Elamite was used for a period around 3000 BC, whereas Linear Elamite is attested for a similarly brief period in the last quarter of the 3rd millennium BC. Proponents of an Elamo-Dravidian relationship have looked for similarities between the Proto-Elamite script and the Indus script, the Proto-Elamite writing system was used over a very large geographical area, stretching from Susa in the west, to Tepe Yahya in the east, and perhaps beyond. The known corpus of inscriptions consists of some 1600 tablets, the vast majority unearthed at Susa. The majority of the Tepe Sialk tablets are not proto-Elamite, strictly speaking, although Proto-Elamite remains undeciphered, the content of many texts is known. The Neo-Babylonian Empire, known as the Chaldean Empire, was a period of Mesopotamian history which began in 626 BC and ended in 539 BC. During the preceding three centuries, Babylonia had been ruled by their fellow Akkadian speakers and northern neighbours, Assyria, a year after the death of the last strong Assyrian ruler, Assurbanipal, in 627 BC, the Assyrian empire spiralled into a series of brutal civil wars. Babylonia rebelled under Nabopolassar, a member of the Chaldean tribe which had migrated from the Levant to south eastern Babylonia in the early 9th century BC. This period witnessed an improvement in economic life and agricultural production, and a great flourishing of architectural projects. The Neo-Babylonian period ended with the reign of Nabonidus in 539 BC, to the east, the Persians had been growing in strength, and eventually Cyrus the Great conquered the empire. Babylonia was subject to and dominated by Assyria during the Neo-Assyrian period, the Assyrians of Upper Mesopotamia had usually been able to pacify their southern relations through military might, installing puppet kings, or granting increased privileges. Even though Aramaic had become the everyday tongue, Akkadian was retained as the language of administration, archaic expressions from 1500 years earlier were reintroduced in Akkadian inscriptions, along with words in the long-unspoken Sumerian language. Neo-Babylonian cuneiform script was modified to make it look like the old 3rd-millennium BC script of Akkad. Ancient artworks from the heyday of Babylonias imperial glory were treated with reverence and were painstakingly preserved. For example, when a statue of Sargon the Great was found during work, a temple was built for it. 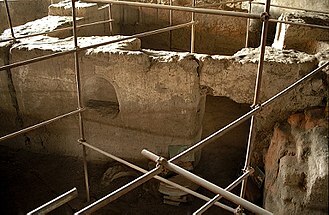 The story is told of how Nebuchadnezzar, in his efforts to restore the Temple at Sippar, had to make repeated excavations until he found the foundation deposit of Naram-Sin of Akkad, the discovery allowed him to rebuild the temple properly. Neo-Babylonians revived the ancient Sargonid practice of appointing a royal daughter to serve as priestess of the moon-god Sin, much more is known about Mesopotamian culture and economic life under the Neo-Babylonians than about the structure and mechanics of imperial administration. 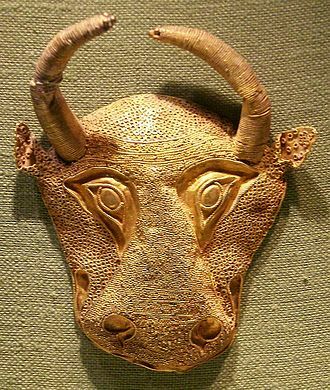 Urartu, known as Kingdom of Van, was an Iron Age kingdom centred on Lake Van in the Armenian Highlands. It corresponds to the biblical Kingdom of Ararat, the language appears in cuneiform inscriptions. It is argued on linguistic evidence that came in contact with Urartian at an early date. That a distinction should be made between the geographical and the entity was already pointed out by König. The landscape corresponds to the plateau between Anatolia, the Iranian Plateau, and the Caucasus Mountains, known as the Armenian Highlands. The kingdom rose to power in the mid-ninth century BC, the heirs of Urartu are the Armenians and their successive kingdoms. The name Urartu comes from Assyrian sources, Shalmaneser I recorded a campaign in which he subdued the entire territory of Uruatri, the Shalmaneser text uses the name Urartu to refer to a geographical region, not a kingdom, and names eight lands contained within Urartu. 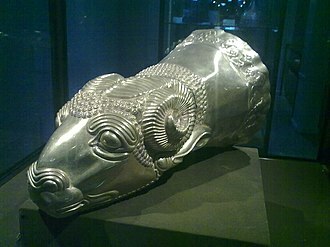 Urartu is cognate with the Biblical Ararat, Akkadian Urashtu and Armenian Ayrarat, the Urartian toponym Biainili was adopted in the Old Armenian as Van, Վան. 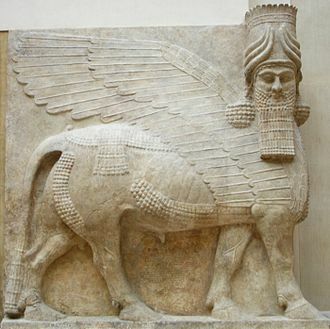 Hence the names Kingdom of Van or Vannic Kingdom, scholars such as Carl Ferdinand Friedrich Lehmann-Haupt believed that the people of Urartu called themselves Khaldini after the god Ḫaldi. Boris Piotrovsky wrote that the Urartians first appear in history in the 13th century BC as a league of tribes or countries which did not yet constitute a unitary state. In the Assyrian annals the term Uruatri as a name for this league was superseded during a period of years by the term land of Nairi. Scholars believe that Urartu is an Akkadian variation of Ararat of the Old Testament, Mount Ararat is located in ancient Urartian territory, approximately 120 kilometres north of its former capital. In addition to referring to the famous Biblical mountain, Ararat appears as the name of a kingdom in Jeremiah 51,27, mentioned together with Minni, in the early sixth century BC, Urartu was replaced by the Armenian Orontid Dynasty. 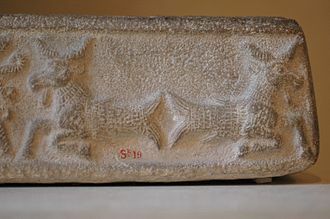 Shupria was part of the Urartu confederation, there is reference to a district in the area called Arme or Urme, which some scholars have linked to the name of Armenia. The modern name Elam stems from the Sumerian transliteration elam, along with the Akkadian elamtu, and the Elamite haltamti. Elamite states were among the political forces of the Ancient Near East. 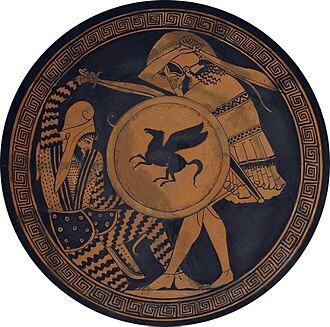 In classical literature, Elam was known as Susiana, which is a derived from its capital. Elam was part of the early urbanization during the Chalcolithic period, the emergence of written records from around 3000 BC parallels Sumerian history, where slightly earlier records have been found. 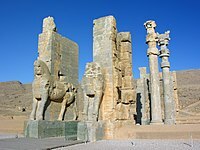 In the Old Elamite period, Elam consisted of kingdoms on the Iranian plateau, centered in Anshan and its culture played a crucial role during the Persian Achaemenid dynasty that succeeded Elam, when the Elamite language remained among those in official use. Elamite is generally accepted to be an isolate unrelated to the much arriving Persian. The Elamites called their country Haltamti, Sumerian ELAM, Akkadian Elamû, female Elamītu resident of Susiana, the Elamite civilization was primarily centered in the province of what is modern-day Khuzestān and Ilam in prehistoric times. The modern provincial name Khuzestān is derived from the Persian name for Susa, Old Persian Hūjiya Elam, in Middle Persian Huź Susiana, in geographical terms, Susiana basically represents the Iranian province of Khuzestan around the river Karun. In ancient times, several names were used to describe this area, the great ancient geographer Ptolemy was the earliest to call the area Susiana, referring to the country around Susa. 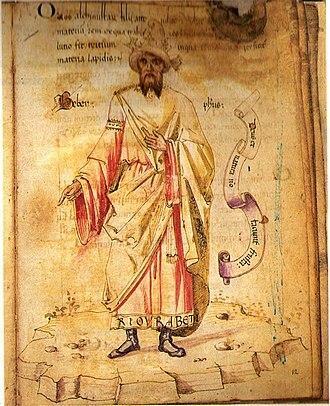 Another ancient geographer, viewed Elam and Susiana as two different geographical regions and he referred to Elam as primarily the highland area of Khuzestan. Disagreements over the location exist in the Jewish historical sources says Daniel T. Potts, some ancient sources draw a distinction between Elam as the highland area of Khuzestan, and Susiana as the lowland area. Yet in other ancient sources Elam and Susiana seem equivalent, the uncertainty in this area extends to modern scholarship. Since the discovery of ancient Anshan, and the realization of its importance in Elamite history. 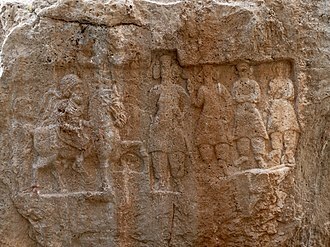 The Lullubi or Lulubi were a group of Pre-Iranian tribes during the 3rd millennium BC, from a region known as Lulubum, now the Sharazor plain of the Zagros Mountains of modern Iraqi Kurdistan. Frayne identified their city Lulubuna or Luluban with the regions modern Kurdish town of Halabja, sargons grandson Naram Sin defeated the Lullubi and their king Satuni, and had his famous victory stele made in commemoration. 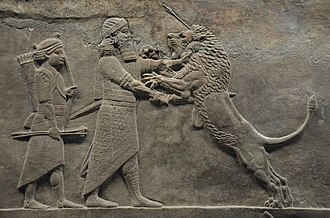 After the Akkadian Empire fell to the Gutians, the Lullubians rebelled against the Gutian king Erridupizir, in the following millennium BC, the term Lullubi or Lullu seems to have become a generic Babylonian/Assyrian term for highlander, while the original region of Lullubi was known as Zamua. However, the land of Lullubi makes a reappearance in the late 12th century BC, neo-Assyrian kings of the following centuries recorded campaigns and conquests in the area of Lullubum / Zamua. They were said to have had 19 walled cities in their land, as well as a supply of horses, metals and wine. 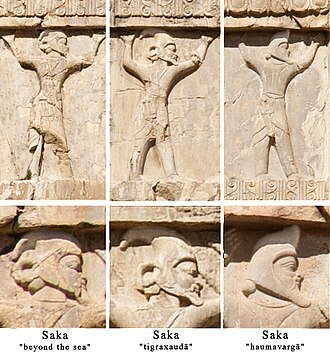 Relief in Tus depicting popular mythical stories of Iran. Simurgh (Phoenix) decoration outside of Nadir Divan-Beghi madrasah, Bukhara. King Anubanini of Lullubi, holding an axe and a bow, trampling a foe. 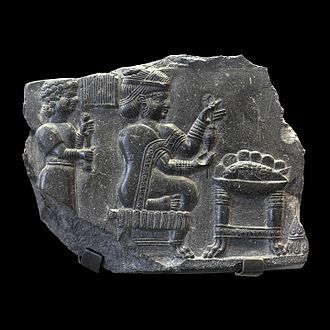 Anubanini rock relief, circa 2300-2000 BC. Sar-I Pul, Iran. King of Persis Ardashir II with crown, 1st century BCE. Ardashir I, as King Artaxerxes (Ardaxsir) V of Persis. 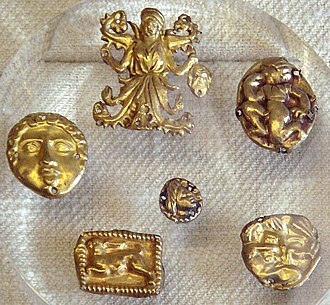 Circa CE 205/6-223/4. Obv: Bearded facing head, wearing diadem and Parthian-style tiara. Rev: Bearded head of Papak, wearing diadem and Parthian-style tiara. 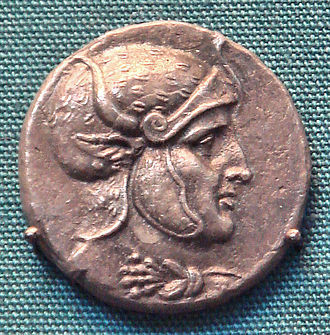 Hyspaosines (209–124 BC), founder and king of Characene.